I live in Epsom and Ewell and use to live in Greater London, so I would say that I have a good understanding of the area. Personally I would be happy if Epsom became a London Borough. I don’t really care about that whole Surrey address thing and its association with wealth and posh people. Though I’m sure some people would be unhappy about being part of South London instead of Surrey. Suburban decline does appear to be happening in outer London, though I doubt it will spread further or get worse. Nevertheless these maps to illustrate how parts of Sutton, Croydon and Bromley have become more deprived. I understand your points about the Indices of deprivation 2015 data. However the data does provide an approximate ranking of the English local authorities by income, poverty, employment etc. James, my understanding on decline in the area has come from recent local news reports, there seems to be a lot of negative news either about recent crimes that have happened in the district or about dirty run down food places in the area. Most of the decline from what have seen has been in the residential area between Longmead council estate and the town centre. A lot of the houses there have gone from owner occupier to being split into BTL profiles which has seen that area have some demographic change. Epsom and Ewell has a fair amount in common with Bromley both areas nearly voted for UKIP in the 2014 euros but voted Remain in the referendum. I tend to agree with James. There is a danger of missing the big picture here, which is that Epsom & Ewell remains a predominantly middle-class and affluent area- at least by the standards of most reasonable people. Is it on quite the same exalted plane as Elmbridge? No, but that hardly means it’s on the road to becoming Croydon either. Grayling added another 2500 voters in 2015 relative to 2010 and a swing to Labour of 0.75% is hardly *that* significant. I tend to find that a lot of supposedly wealthy areas in the south-east don’t seem all that pleasant when I’m visiting them or passing through, with the main reasons being how crowded they are and the level of pollution from too many cars, buses, etc, and lack of open space. Conversely many areas further away from the home counties often seem a lot nicer than the statistics would have us believe, for the opposite reasons: more space, less pollution, a slightly less frantic pace of life. Quality of life in much of the SE has become seriously impaired over the last 20 years or so. Surrey Politics – lots of council estates close to town centres can appear quite run down. For example the council estates in Norbiton aren’t great, but it would be wrong to suggest Kingston as a whole is declining. I understand your point about the areas round longmead, but the rest of the borough round Epsom Downs, Epsom Common, the hospital and Ewell Village is very nice and desirable. Also the high cost of housing and train fares will probably prevent any decline of Epsom and Ewell. In 2015 locals were the Labour vote went up in Epsom and Ewell maybe partly due to the Lib Dem collapse, though the Labour vote went down in many other Surrey districts. Interestingly the Labour vote went down/remained static in the council estate dominated wards of Court (the Cons were 7 votes from a seat here) and Ruxley. However, the Labour vote went up quite sharply in some of the other wards Town and the 1930s suburban West Ewell and Cuddington. The comparison with Kingston is interesting some parts of that borough are actually not that nice though very expensive. My experience of these places are pleasant housing areas with grotty and/or boring town centres. That’s presumably ‘cos there was also a swing against him in 2010 when his majority fell – so the only way really was up in 2015 after the previous poor performance. AndyJS – Yes, that’s true. There’s lots of hidden gems around even Knowsley, Burnley, Huddersfield etc with miles of fields. There just isn’t the room for that in parts of Greater London. The smaller square footage of new builds with small or no gardens doesn’t help compared with the huge plots of 1920s council housing with long gardens. I feel that the collapse of the Lib Dem vote is the probably the main cause of an increased Labour vote share than any wider demographic change. More the case of left-leaning voters switching from the lib dems to labour. My late Grandmother lived in a 1950s Parker-Morris standard council house, with a generous garden. This was in the Black Country. This was built after the introduction of the green belt and at a time of high immigration. There was nothing to stop those sorts of houses continuing to be built. However, the governments of both parties chose not to do so after 1979. Having grown up near Huddersfield (Colne Valley) it is true that there are some very nice areas nearby. Interestingly, a person I know who is in his eighties described the same are in the 1950s as being “a hole”. This is a person with very regressive views on race to put it mildly. “It were a right hole” is the exact quote as I recall. Hawthorn – a lack of space in most cities, by the ’80s onwards presumably. Immigration wasn’t really large until the ’60s and ’70s (but I I doubt the Blair period will ever be surpassed). The 1920s council houses with large gardens are probably the last municipal success that’s stood the test of time (even though most were purchased under the Right to Buy in the ’80s), when you look at ’60s tower blocks and so on. A lack of talent in councils means I’m glad they aren’t let loose with great swathes of land. Heaven knows what we’d end up with these days. 1950s council house building was a highly successful policy carried out by a Conservative government. The estate where she lived was still a pleasant place the last time I went there which was less than ten years ago. There is still plenty of space in Cities. You will see it being built upon in London right now, only not with social housing. The first council housing was by a Conservative Council in Liverpool in fact so I can believe that. There’s plenty of vacant brownfield sites in cities, but little green space. Although you’re right in that a lot of that is even being built upon by private developers. Unfortunately outside of London (where its a necessity) developers are very reluctant to build on brownfield land because its not as profitable since their is higher building costs due to de-pollution and sometimes demolition and the area in question is generally less desirable so the finished product goes for a smaller price. This leads to the development companies constantly lobbying to build on the green belt or parkland. Its all about money and that’s part of the reason I think handing over housing construction wholly to the private sector has been a catastrophe and that state intervention is an absolute must. Although of more concern is that 53% of MPs in a poll want to scrap having to provide receipts for their expenses! The Standard has the letter Grayling sent re rail deregulation, ie the charge is he only said it for political advantage and had no intention of taking that stance. Clearly now more awkward that he isn’t just a local MP but now the Secretary of State in charge of that policy. Like Liam Fox and Owen Patterson, his fellow Brexiters who have made the cabinet, Grayling lacks the basic competence to do a good job as a minister. Tim- you forgot Andrea Leadsom and Priti Patel in your rundown of who is totally out of their depth. I doubt Chris Grayling would have survived Theresa May’s reshuffle had he not run her leadership campaign. I can’t remember who said this (it might have been Hemmelig) – but Chris Grayling was just Theresa May’s “useful idiot” to try and boost her credentials among the Eurosceptic membership. Tim J – I really don’t buy that he’s a rightwinger in that sense at all. He was in the SDP throughout the ’80s after all so certainly isn’t a Thatcherite, unlike Fox and Leadsom. He’s certainly an authoritarian and a bit of a Statist in fact, hence his book banning and nationalising fees when he was at the MoJ. I can see why you might think he is – due to his anti-gay couples’ comment in 2010 – but that’s probably because he’s a Roman Catholic. Other than himself I found it difficult to see what he believed in when he was Shadow Minister for Lpool. But I agree with others that he’s over promoted. He was just a good ‘attack dog’ for about a year when there were a few Labour scandals and resignations a decade ago. Given his expenses’ scandal, he was lucky to survive as an MP really – especially as before that a firm he was a Director of was wound up by HMRC for failure to pay tax, so it wasn’t a ‘one off’ financial scandal. You need confident people in cabinet. I don’t know too much about his ability, he does seem authoritarian, also does seem able to think outside the box a little. Importantly for the government, he has a down-to-earth style that makes him seem on ‘the people’s’ side. Would you consider May to be among your “overpromoted” 400 MPs? She would not have been my pick for Tory leader, but I will now judge her by her actions. Ask me again in 12 months – by then I think it will be clear whether she is up to the current job or not. I doubt they will even come second here next time. They are wiped off the council. Easy Con Hold 22,000 over Labour (they will pick up the student, hospital worker and BAME vote) – possibly the only 2nd place in the county of Surrey. Kent – not that likely but with Corbyn as leader I wouldn’t rule it out. Essex – Corbyn might have to go if they get wiped here though I am sure they will hold at least one seat in Colchester. It may be the wake up call Labour need to get an electable leader otherwise they could be reduced to the just the Newham seats, Tottenham, Mitcham and Morden etc. Or in 2018 at this rate they could lose Ealing and Hounslow (rather improbable but not impossible) let alone Harrow and Croydon, the Hindu vote is a little more Tory leaning these days. Corbyn probably won’t go down too well in Feltham and Hanworth for example. I am not suggesting any of these will happen but Corbyn seems pretty happy to talk to Hamas (who are homophobic and sexist) but is totally in my opinion dismissive of the other wing of the Labour Party and that to me is a very bad trait. I forgot about Brent actually, anywhere outside of East London and Mitcham, Labour could lose many votes. Could Labour wiped out of a few boroughs under Corbyn adding to Richmond and Sutton? Havering springs to mind. Doesn’t Havering have a very strong residents’ association? They always make things difficult to predict unless you have local insight. Lovely generalisations there Conservative Estimate. I agree with others Con when they say your being a bit wishful, optimism for your side is fine, sweeping generalisations based on not much evidence isn’t. Speaking of Corbyn I am now the proud owner of my very own Jeremy Corbyn colouring book (red pencil not included) haha. Apparently there was a protest yesterday outside the DfT from the Association of British Commuters (no, I’ve never heard of them either), where they chanted “Grayling out” over the Southern Rail strikes. Quite how they think Grayling has the power to resolve the dispute is beyond me. This isn’t like the junior doctors, this is a dispute between a private rail operator and a trade union in which the government plays no part. Transport Secretary is one of those jobs which needs a “safe pair of hands” and Grayling is the opposite of that. He was a terrible choice for the job and I predict he won’t last long. A less accident prone minister would be able to use the Southern strike to their advantage. 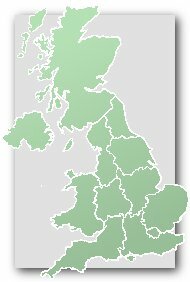 I am a regular Southern user (a few times per week) and I can tell you there would be massive support amongst commuters for the government to smash the strike. Despite the BBC always interviewing the one traveller in 50 who is sympathetic to the strike. The unions have been very inept this week and pushed it too far. I agree that the unions have overplayed their hand in this case. Their actions may well provoke a legislative response that isn’t to their long term advantage. Something like no strikes allowed over safety when the independent regulator has decided that the policy in question is perfectly safe. In this case that would have left the unions without a leg to stand on. Exactly. It would yield the support of many who would have hesitated at such a move a year ago. It would also make Labour extremely uncomfortable. Surely ASLEF and RMT would force them to vote against and not just abstain. Both unions are very close to Corbyn and support the party financially.